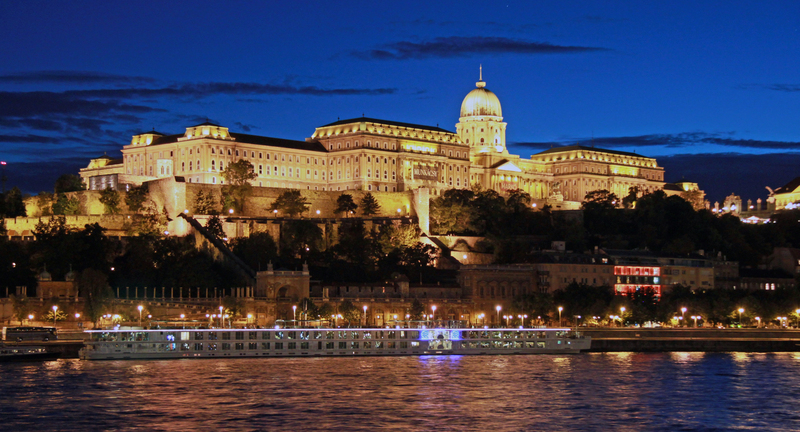 Budapest, the capital of Hungary, was created in 1873 by the merger of three cities: Buda, Óbuda and Pest. It is the administrative, cultural, scientific, economic, trade and transportation center with about 2 million inhabitants. The town spreads on the banks of the river Danube, and is administratively divided into 23 districts, 16 of which are located on the Pest side, 6 in Buda and 1 on Csepel Island in Danube. Buda extends to the hills on the west bank of the Danube and Pest on the left bank of the river in the lowlands. In Buda, the 235 m high hill (Gellért-hegy) rises from the river bank and offers a remarkable view of the whole city. 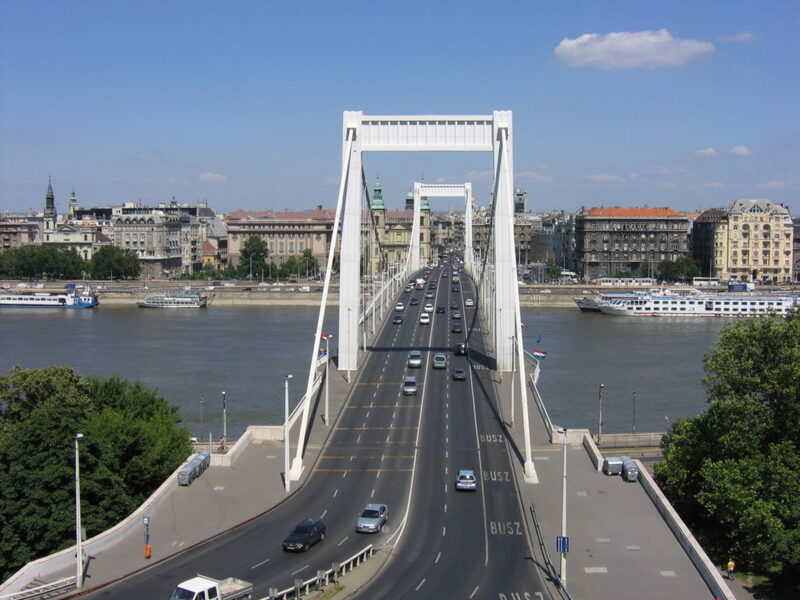 There are 7 bridges and 2 railway bridges In Budapest. Except for one bridge (Erzsébet híd), all bridges were destroyed during the Second World War were restored to the original style. Traces of the first settlements in the area of the city of Budapest today date back to the Stone Age, but many nations alternated throughout history in longer or shorter periods. However, known history of Budapest begins with the Roman town of Aquincum, founded around 89 AD on the site of an old Celtic settlement, near Obuda. Aquincum was the capital of the province of lower Pannonia from 106 AD until the end of the 4th century. Contra Aquincum (or Trans Aquincum) was in place of today’s Pest. Under the leadership of the famous Attila, Huns advanced in the Pannonian Plain in the 5th century. In 896 Ugrians, today’s Hungarians, led by Arpad from the area of ​​the Lower Dnieper and the Danube, crossed the Carpathians and settled in the area of today’s Pannonia between the Danube and the Tisa and established the state. These skilled horsemen reached Central Europe, where they were stopped by Otto I the Great, at the Battle of Lehfeld, near present-day Augsburg, in 955 AD. Very soon, during the reign of Saint Stephen, Hungarians accepted Christianity in 1001, while receiving the crown from the Pope. Hungary was ruled Arpads from 1001 until 1301 when rulers came from foreign dynasties. In 1241, at the time of King Bela IV, who was considered the second founder of Hungary, the Tatars devastated Pannonian area, so the king Bela started fortification and construction of the king’s palace in Buda. Since its founding until the Battle of Mohács, the Hungarian state was very influential in the Balkan and European area. With the advent of the Turks and their invasions in the north, Hungary came under direct strikes. Already in 1521 the Turks conquered Hungarian Belgrade in Mohács battle, in 1526, the Turks again were victorious on that occasion killed the king Lajos II Jagiellon, Hungary will cease to exist as an independent state. After the battle of Mohács part of Hungary fell under Ottoman Empire, other became part of the Habsburg Empire, and the third became semi-independent state under the suzerainty of the Ottoman Empire. Turkish pasha was based in Buda until 1686. At the end of the seventeenth and early eighteenth century, the Habsburgs invaded Transylvania and Ottoman territories in the Pannonia, so all Hungarians came under the rule Habsburg. Events in Europe in 1848 did not miss Hungary. Under the leadership of Lajos Kossuth and Lajos Batthyány they raised rebellion against the Habsburgs, demanding national rights. However, what the Hungarians sought from the Habsburgs, they did not give to non-Hungarian population, which was one of the reasons why the other sided with the Habsburgs. The revolution was brutally suppressed, but after 1860, Habsburg policy changed towards Hungarians. In 1867 the Habsburg monarchy was transformed into the Austro – Hungarian Empire and Hungary was given a large degree of autonomy. 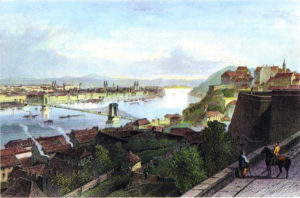 In the booming economic development after the revolution and the creation of the dual monarchy, Buda and Pest were being developed into European capital. 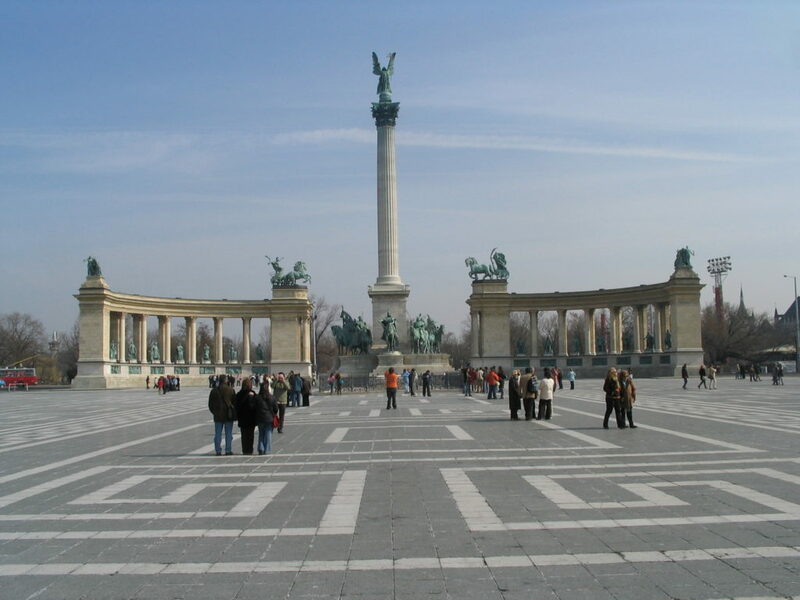 Independent cities Pest, Buda and Obuda were merged into one city called Budapest in 1873. In the First World War (1914 – 1918), the Austro Hungarian Empire, along with Germany, Bulgaria and Turkey was a member of the defeated Central Powers. After the war and the collapse of the Austro Hungarian Empire, Hungary became an independent state. In the postwar period Trianon agreement defined the boundaries of the new state; Hungary remained without two-thirds of its territory. After a brief life of the Hungarian Soviet Republic under the leadership of Bela Kun, the Hungarian monarchy was restored but before the determination of the crowns successor, the role of regent was performed by Miklos Horthy. By the end of World War II from 1945 to 1989, Hungary was part of the Soviet sphere of influence and the Warsaw Pact. Anti communist and anti-Soviet rebellion occurred in 1956. The revolt was brutally suppressed, and the then Prime Minister Imre Nagy was sentenced to death. Major changes in the political life of Hungary occurred at the end of 1989, greater freedom in organizing and political action, agreement on the withdrawal of the Soviet army was signed and the state changed its name to Republic of Hungary. Communists lost the power and Hungary became a member of NATO and the European Union.